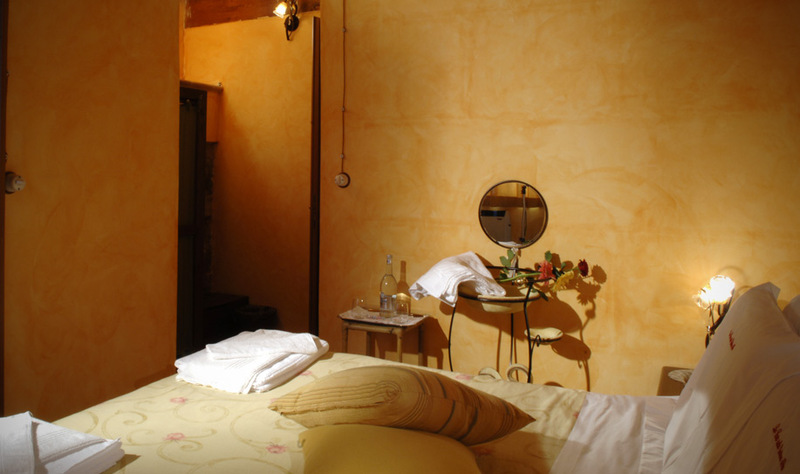 Relais de Charme (four crowns) is resulted from an ancient rural house of the end of 19th century restructured with Sicilian typical materials, and placed on an authentic natural belvedere which dominates the ancient town of Piazza Armerina.. The Relais’ beauty and singularity is testified from the presence of this B&B in the most famous Italian Guides such as “Italian Inns” (Slow food Editions), “Guide du Routard”, “Clup” and “Red lobster” (the Sole 24ore 2007 Edition). All the rooms equipped with bathroom, clima and elegantly furnished ensure the maximum privacy in a context where, in the stay typology, the possibility of enjoying wide common spaces is also generous (two wide living rooms, panoramic terraces and a wide garden).